Last Shabbat we celebrated a magnificent Simcha with two of our most precious congregants: Mick and Sonya Leiman. And the Simcha? 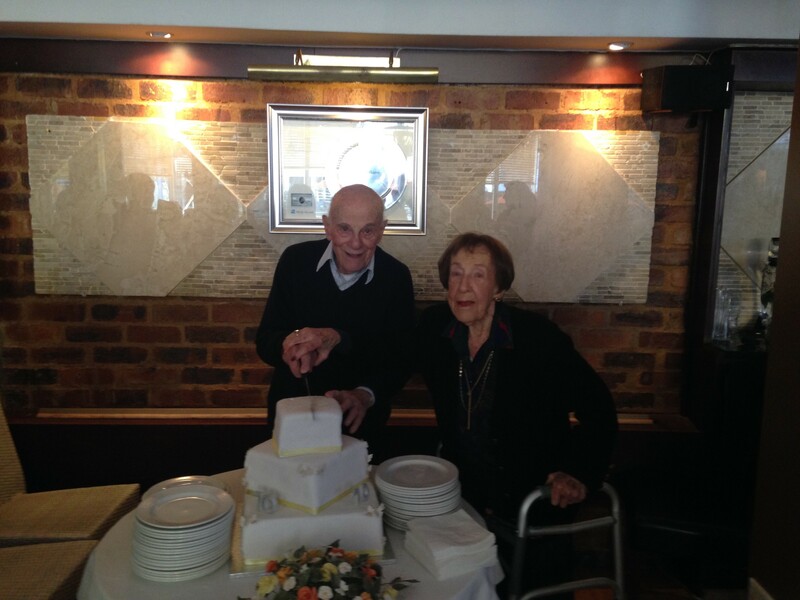 Their 70th wedding anniversary! The couple have three children Ken Leiman, Janice Barnard and Brenda, and six grandchildren: Ken and his son David live in KwaZulu-Natal; Janice and her husband David live in New York; Brenda and her husband Stephen live in La Jolla, California; while granddaughters Layla lives in Johannesburg; Caroline in New York; Sarah in London; Julia in Miami and grandson Guy lives in San Diego. Ida Harman (neé Sonnenberg) was also an honoured guest at the luncheon, having been at the couple’s wedding 70 years ago. Another guest at the celebration, and a member of the Bet David congregation, Madeleine Hicklin, spoke about how wonderful it was to have ‘another set of parents’ with her in shul every Shabbat morning. “Unfortunately, both my mother and father have passed on, but Hashem has blessed the Bet David family with Sonya and Mick – who many of us have ‘adopted’ as our parents. Founded in 1971, Bet David is a Progressive Jewish congregation, based at 3 Middle Road in Morningside, under the leadership of Rabbi Adrian Michael Schell and Rabbi Julia Margolis. The shul is a warm, welcoming, and inclusive congregation that invites individuals and families of all observance levels to worship and learn with them. When you open the doors to Bet David, you’ll find a community that’s as vibrant and evolving as you are. You’ll discover a diverse congregation engaged in social issues, culture and learning – a congregation rediscovering Jewish values that give meaning and provide a strong foundation to face the challenges of contemporary life.